Yesterday, Zach and I went to part of the celebration of Salem’s 250th Anniversary. It was in 1766 that the Moravians began building the village of Salem. Yesterday was community day in Old Salem, all of the buildings were open and tours were free. The Salem Congregation offered a number of different opportunities for worship and I was blessed to lead one of the 4 worship services held throughout the day in Home Moravian Church. I never cease to be amazed by the faith and wisdom of children. Walking around the streets of Salem, it does seem like it has been touched by God. And as we gather for worship today we are remembering another time when the Moravians were touched by God. It was August of 1727 and the Moravian community in Herrnhut, Germany was in trouble. After years of persecution and being driving out of their homeland, the remnant of the Unity of the Brethren (the church started in 1457 by followers of the teachings of Jan Hus) finally found refuge. In 1722, Count Nicholas Ludwig von Zinzendorf, a German nobleman and a student of the Pietist movement, welcomed the Moravians and allowed them to build a village on his land. Over the next 5 years, the village of Herrnhut became a place of religious freedom, where they welcomed many people of many different religious backgrounds. Those different backgrounds meant different beliefs- different ideas, different customs, different practices. Those differences brought conflict. Then, as now, people don’t deal well with differences. We like conformity and uniformity. The conflict in Herrnhut played out in ugly ways. Arguments, enmity, antagonism led to discord, disunity, distrust. By early 1727, things were so bad that Zinzendorf was ready to put an end to the whole thing. But not without giving it one more try. This “Brotherly Agreement” helped but it wasn’t quite enough. The discord, disunity, distrust were still there, they were still a threat to the community. They needed to have something more than words written on a piece of paper, something more than an agreement. The Moravians in Herrnhut needed to be changed. They needed a change of attitude, from an attitude of self to one for others. They needed a change of spirit, from a spirit of error to a spirit of truth. They needed a change of heart, from hearts of stone to hearts of love. And on August 13, 1727 they changed. The something that happened was that the Holy Spirit moved among them. The something that happened was that Jesus and his love became a reality. The something that happened was that they were touched by God. When this happens, you can’t describe it or explain it. But you know that it happens because from then on, things are different. August 13, 1727 is known as the Moravian Pentecost. 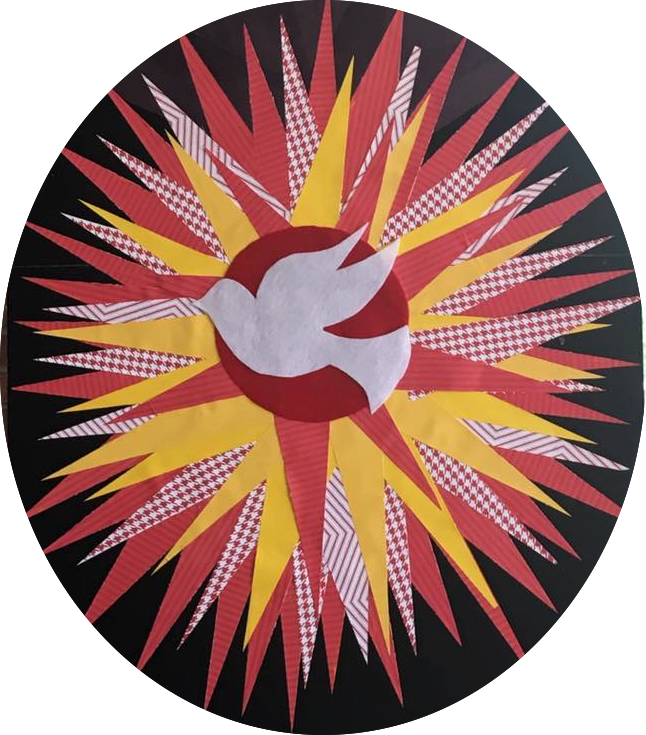 As the Day of Pentecost is the day that the church was born, August 13 is the day that the Moravian Church was reborn and renewed. Much of what we consider to be “Moravian” today trace their beginning to this renewal and rebirth. The lovefeast, the Daily Texts, the Prayer Watch, the mission outreach, all thrived because of what happened on August 13, 1727. What happened was a change of attitude, from an attitude of self to one for others. What happened was a change of spirit, from a spirit of error to a spirit of truth. What happened was a change of heart, from hearts of stone to hearts of love. On August 13, 1727 the Moravian Church changed. The most important lesson we can learn from our ancestors is that things can change, that we can change. The story of August 13 reminds us that change is necessary. It may not be welcome, but it is necessary. The story of August 13 reminds us that change is possible. It may not be easy, but it is possible. We are blessed that our Moravian ancestors saw this and allowed the Holy Spirit to change them. Thank God they didn’t think: “We have been this way for years, we can’t change now.” Thank God they didn’t say: “I’m too old to change.” Thank God they didn’t believe: “It’s too much work to change. Let’s just move on.” The Moravians in 1727 were ready, they were open, and they were willing. God saw that and God did something about it. Attitudes of self became attitudes for others. The spirit of error became a spirit of truth. Hearts of stone became hearts of love. As I said last week, the Moravian Church of 2016 is in a similar place to that of 1727. We have different ideas, different customs, different practices. These differences bring conflict because we don’t deal well with differences. We like conformity and uniformity. This conflict can, and does, play out in ugly ways. With arguments, enmity, and antagonism which lead discord, disunity, and distrust. We can’t let that continue to happen. We need to change. As we come to the table. As we receive these reminders of the love that God has for us, and the love that God calls us to have for one another. Let us ask God to touch our hearts. Let us ask Jesus to forgive us. Let us ask the Holy Spirit to change us.